Lots of authors use stock images of actors and models to help them picture their characters. 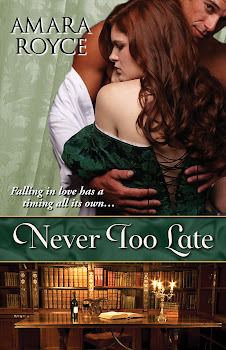 While I didn't do that when writing Never Too Late, I can certainly see the appeal. It makes the characters more concrete, and it can even make visualizing their actions and mannerisms and physical spaces more powerful. So, belatedly, I've been thinking about who my main characters look like. And it's damn hard to decide. Part of me thinks...well, they are who they are. I'm having a hard time finding someone who looks like them because they're distinct people in my head. Still, I can see actors who evoke a sense of my characters. NOTE: Okay, so as an English professor, I'm very sensitive about copyright, plagiarism, and intellectual property. I'm not posting actual photos but rather links to photos. Given the age difference between my heroine and hero in NTL, you might automatically think of Demi Moore and Ashton Kusher. It would be a fair comparison since the age difference between my main characters is 14 years, compared with their 15.5 years. Alas, the fairly recent end of Moore's and Kusher's marriage wouldn't bode well for my characters. And I don't really see Honoria and Alex in them. So, without further ado, I'd like to introduce you to some of the major figures of Never Too Late. Jennifer Aniston: Not because she's been named "the sexiest woman over 40"--but she is in her 40s, she's beautiful, and she has played characters with depth and complexity. I could see her as the business-like, emotionally distant crusder. Lord Alexander Devin: The hero of NTL is in his 20s and has always been the responsible one. His family has never known him to be truly young. He ahs dedicated himself to his family's success and well-being, which makes them his weakness as well. Chris Evans: I had a much harder time pinning down Alex. In my head, he's perhaps most like Joseph Gordon-Levitt from The Dark Knight Rises. Earnest, strong, filled with potential. Then again, I could also conceivably see Zac Efron, who is around the right age, but that feels like the "easy" choice. He seems to be "the" romantic lead these days. Heaven knows I'm not good at "easy." (I've been known to "overcomplicate" things. Shrug.) Plus, I don't see him as having the imperious nature Alex has. So, speaking of imperious, I settled on Chris Evans, with dark hair. He can do haughty and overbearing, and he'd' probably be a great foil for a woman like Honoria. There are a few other characters I can picture now. Lord Devin's mother, for instance, plays a pivotal role. I can see her kind ebullience in someone like Gwenyth Paltrow. Lord Devin's mother, however, was based on a friend of mine so that's really who she'll always be in my head. NOTE: Strangely, going through this exercise, it was VERY EASY for me to identify the hero and heroine of ALWAYS A STRANGER (Book 2): Rosa Kato (an Italian-Japanese actress) and Chris Hemsworth (Thor). Yup, that's them. So...where do you get your inspirations? Who do you "see" as your characters? I'd love to know! Great choices! I always love to hear how authors see their characters. Thanks! It's been a strange exercise because I haven't gotten external inspiration in the past, but I can see how it would be so very helpful! Thus far, I haven't yet "seen" a character with that clear a "Oh, THAT'S her/him!" but these come darn close. FYI, I nominated you for the Liebster Award! Check out my post tomorrow (Monday) for the details.